Posted: Wednesday, May 25, 2016. 6:48 pm CST. 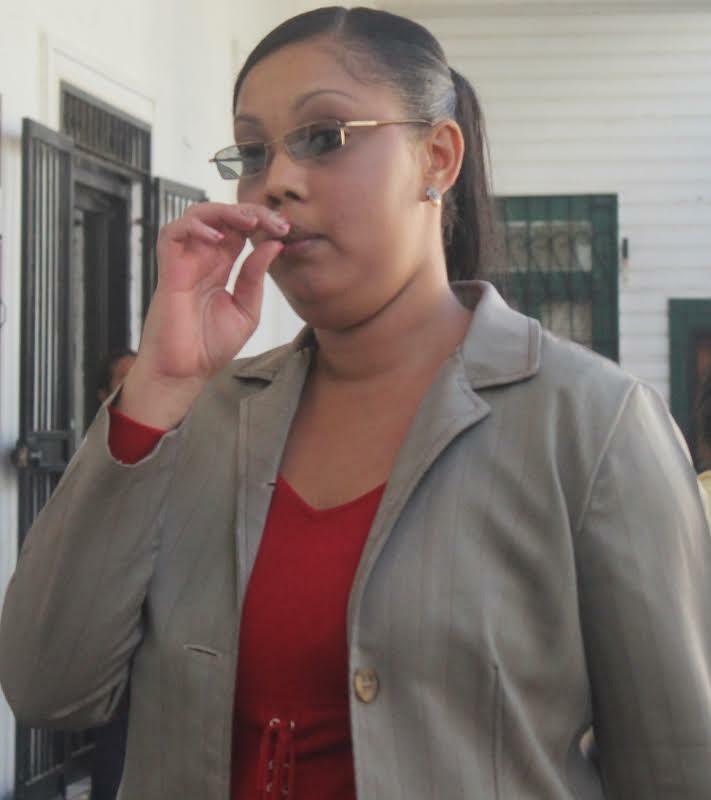 By Aaron Humes: Justice Troadio Gonzalez is to hand down a ruling next Monday, May 30, 2016 in the case of Calaney Flowers, accused of the August 28, 2012 murder of her ex-boyfriend, Lyndon Morrison, and the attempted murder of his new girlfriend, Sochil Sosa, a Honduran national. Flowers is being tried without a jury. She has been accused of intentionally causing the death of Flowers and attempted death of Sosa, who were on a motorcycle together by means of pursuing and knocking them down with her red-colored car outside her former workplace, Atlantic Bank, on Freetown Road in Belize City around 9 at night, then allegedly confessing it to Morrison’s mother. Sosa testified that she left her home with Morrison to buy food that night, and the pair came upon Flowers who began to talk to them and at one point threatened Morrison that she would ensure he not see their child together. She then left in her vehicle headed for Central American Boulevard, then returned, by which time Sosa and Morrison had left on his motorcycle. According to Sosa, as they approached Belcan Bridge, they managed to overtake Flowers’ vehicle but Sosa noted that Flowers had picked up speed and was still following them. She mentioned her concern to Morrison, who told her not to worry, that Flowers would not do anything to them. But Flowers kept coming, said Sosa, and thereafter she felt an impact, allegedly from the vehicles colliding, and then, nothing: she was unconscious. But in cross-examination, Flowers’ attorney Arthur Saldivar brought out that Morrison also told Sosa when she pointed out Flowers that he could not stop; he was going too fast. Saldivar posits that Morrison accidentally crashed into a picked up truck which was parked in front of Central Christian School because he could not slow down. But, he adds, there were no damages seen or found on Flowers’s red vehicle indicating that she may have touched his motorcycle with her car in any way. He also suggested other ways an accident could have happened, none of which implicate his client. Prosecutor in the case is Crown Counsel, Sheneiza Smith of the DPP’s office.